I’ve finally had the chance to sort through my pictures from my trip to Penang, and it’s made me want to go back so bad! 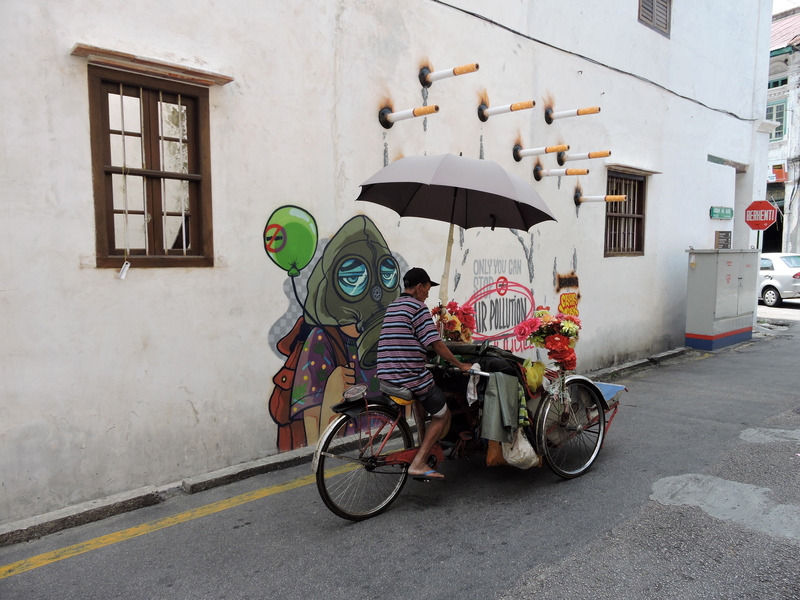 In July I went on a quick trip with a friend to the Malaysian city; I didn’t really have any expectation for the place, and I was pleasantly surprised. 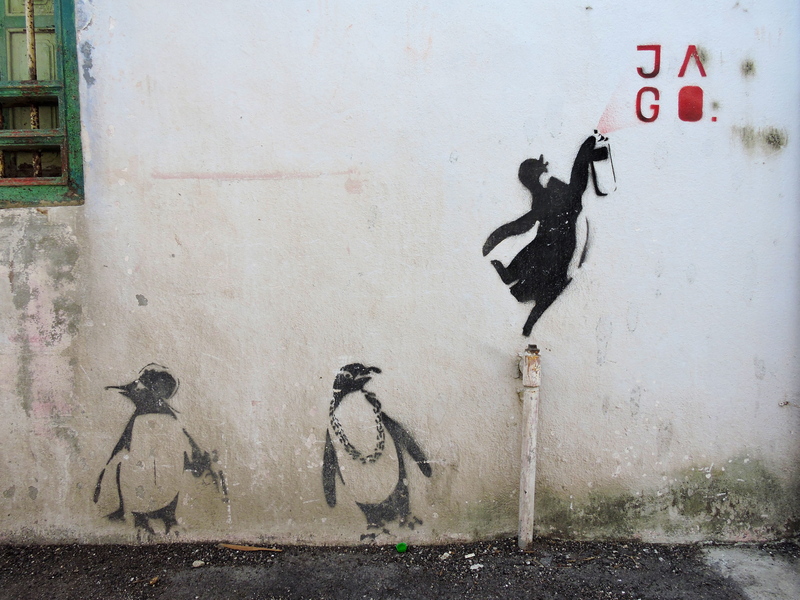 I had heard about the abundance of street art in Penang, and I was excited to explore this for myself. 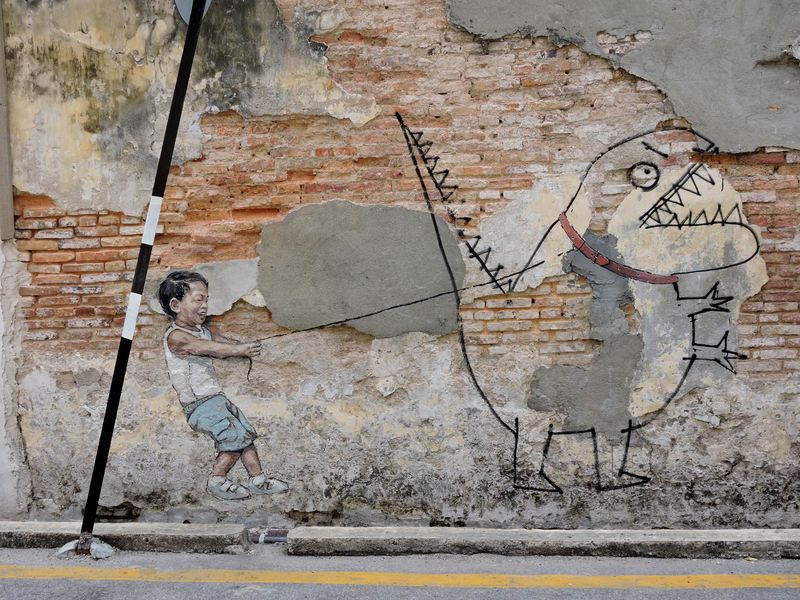 Well, let me tell you, it’s any street art lovers dream. I’ve always been intrigued by street art. I see it as a more raw and uncensored version of the art we see in museums. I love the spontaneity of it; you can see it anywhere, at any time, and it can be anything. 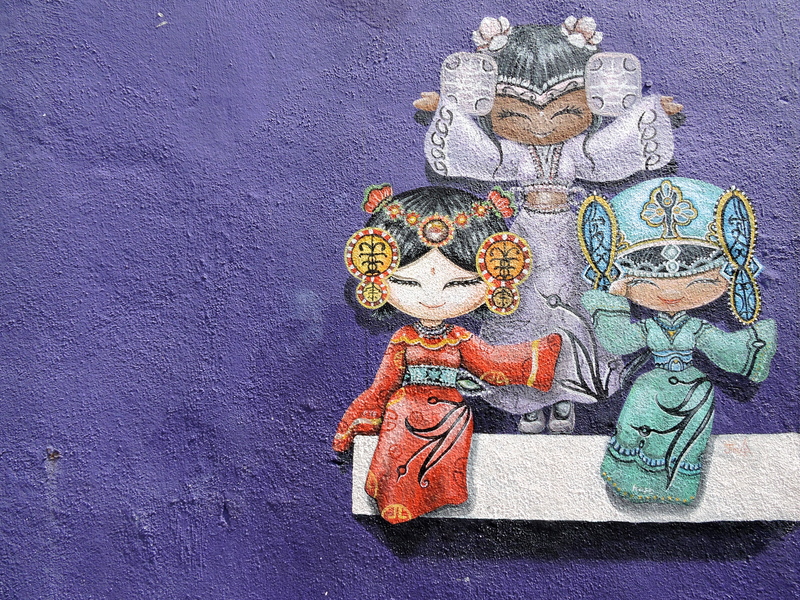 I found all types of street art in Penang; there was funny stuff, serious stuff, small pieces, huge pieces, intricate pieces (like the adorable painting above) and more basic pieces. 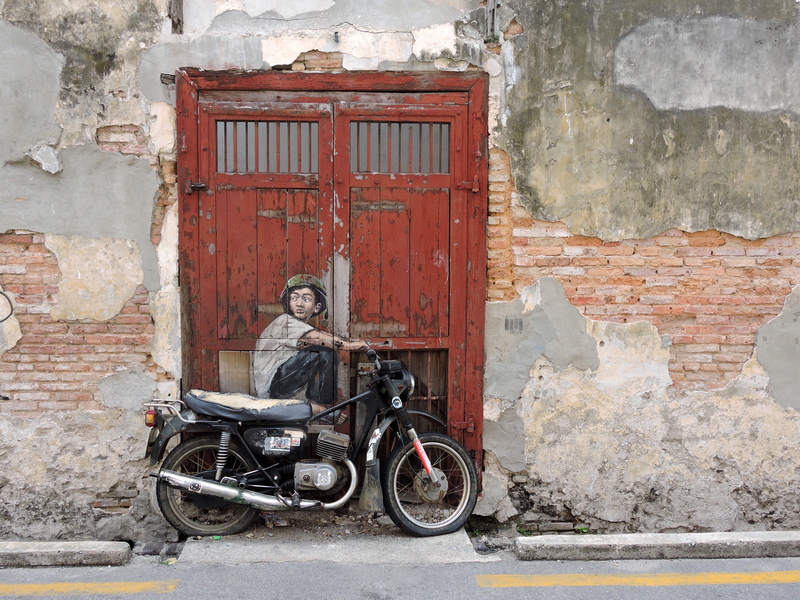 Somehow they all fit together in Penang; a city that acts like a canvas for all this art. 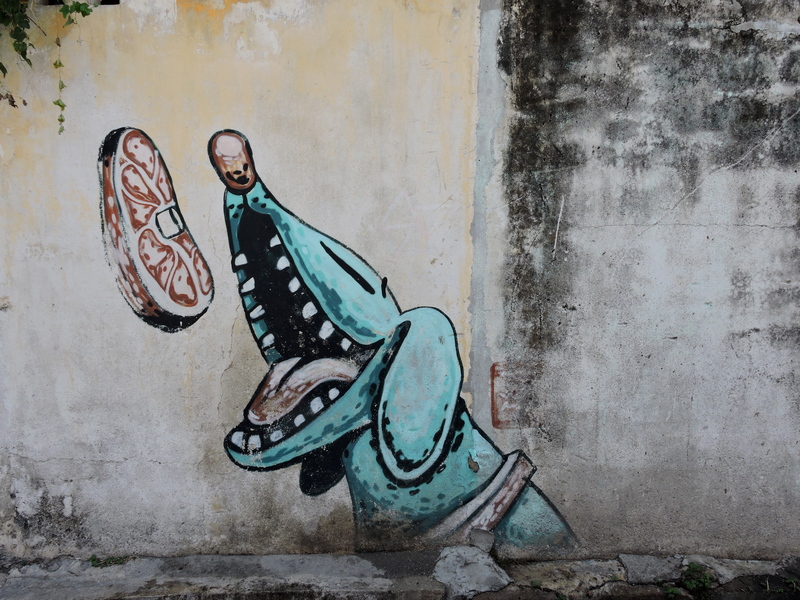 We spend the majority of our morning “hunting” for street art. There are some more famous pieces, which you’ll identify by the group of tourists taking a picture of it. But more fun are the pieces tucked away in alleys, hidden high out of sight or are so small you really need to pay attention to find them. Everytime I found another piece I was giddy with pride: I FOUND ONE! It’s like a Easter egg hunt, but with art. 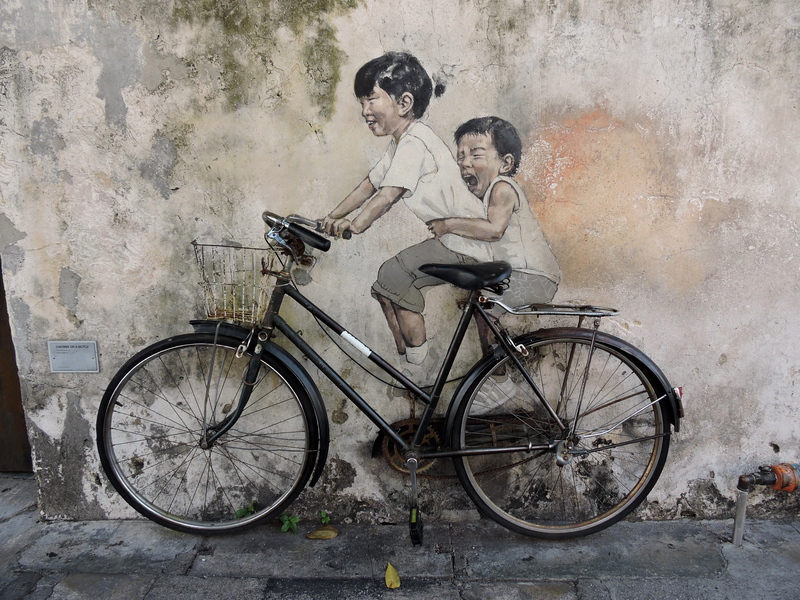 There are some really unique and dynamic pieces on display in Penang; I love how the piece above incorporated a actual bicycle as well as a wall painting. 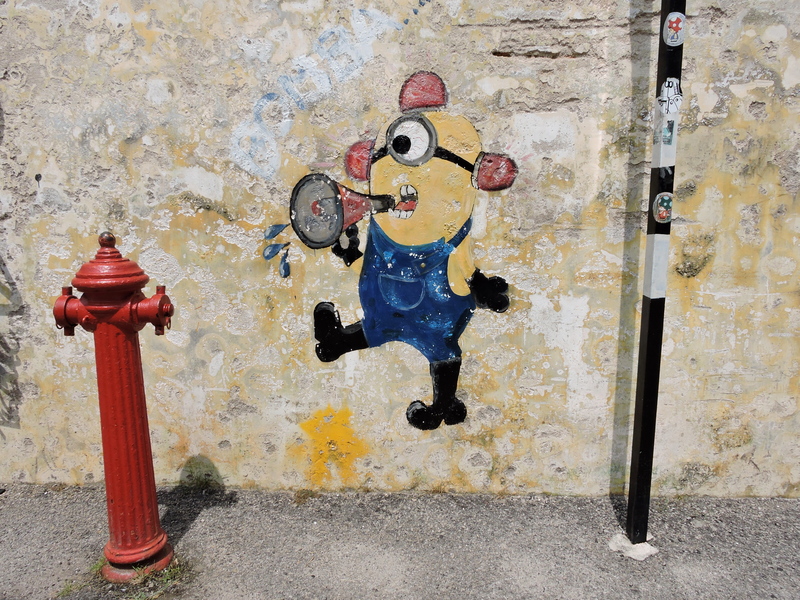 And of course I spotted a minion, how adorable is this little guy? A large part of Penang’s historic city centre, called Georgetown, is a UNESCO world heritage site. The mix of of old buildings filled with history and a more modern form of art creates such a lovely atmosphere. I would strongly recommend Penang to anyone who has the chance to go. It’s a relaxed city filled with culture and kind people. I hope to return one day and hopefully scope out some more street art pieces. Have you ever been to Penang?